If you’re like most of us, you wonder what the internet is doing to your attention span. You check your e-mail several times a day, toggle over to check what people are saying on Facebook, and check the bank even in the smallest pause in real life. Somehow you feel those phantom vibes begging you to take just one more look. The truth is that online intelligence nurtures fluid intelligence and offline life is better at nurturing memory. Being online is like being at the greatest cocktail party ever and it is going on all the time. You can meet people you would almost never meet in real life and when you get tired of the conversation you can just hang up. Are you more like your real self online or offline? Online circulation takes the pressure off some people and they are their best selves online. They feel more in control of the situation. Offline learning at its best is more like being a member of a book club than a cocktail party. You are not in constant contact with the universe. Research at the University of Oslo and elsewhere suggest that people read a printed page differently than they read off a screen. They are more intentional, less likely to multitask or browse for key words. Slowness of solitary reading or thinking means you are not as concerned with each individual piece of data. You have time to lose yourself in someone else’s complex environment. Crystallized intelligence accumulates over the years and leads ultimately to understanding the whole picture and wisdom. The online world is brand new, but it feels more fun, effortless and natural than the offline world of reading and discussion. My own opinion is that there is room for both types of learning. It is easier to flip back and forth to refresh ones memory with a paper book, but the internet does encourage a faster mental agility to try to digest so many types of media in a given span of time. We aren’t the only creatures longing for water. The golden hills are dry as tinder and crackle under the feet of the herd as they are moved toward a water source. A water truck makes its way painstakingly up the hill to replenish troughs which sizzle in the unfamiliar heat. There is a now long-ago memory of lush green hills with cattle grazing contentedly and gazing up now and then to contemplate a high flying hawk. 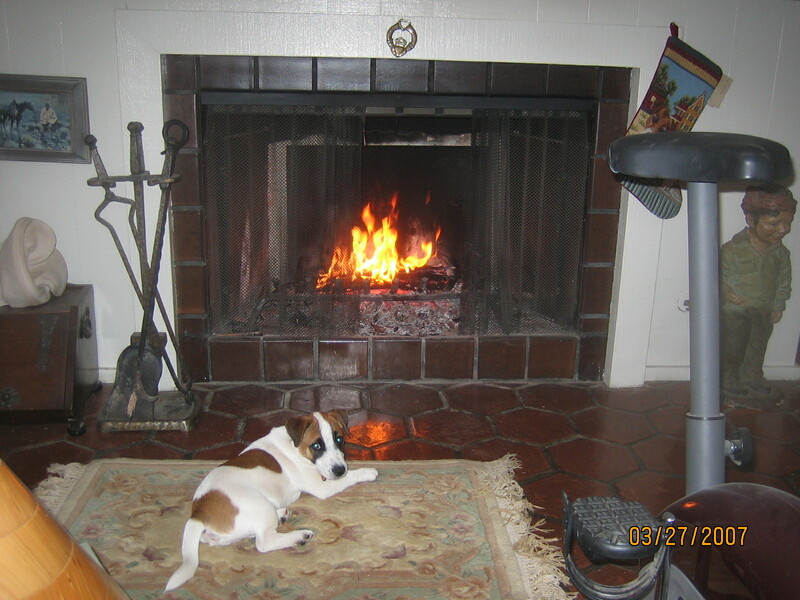 Author kaytisweetlandrasmussen83Posted on July 28, 2015 Categories Animals, Art, Nature, Painting, UncategorizedTags cattle, cowboy, drought, golden hills, heat, Kayti Sweetland Rasmussen, Roundup, water, water source, water truck, watercolor painting8 Comments on GIT ALONG LITTLE DOGGIES! We once ate a picnic in a small boat while floating down a river in the Perigord. I had hoped to eat an authentic Cassoulet for lunch. Instead, we opted for the nearby deli and a small rented boat. We had expected the French families in boats alongside us to retrieve carefully made lunches from baskets. But all had brought potato chips and sodas or beer instead. They jealously watched us as we laid out chilled artichokes with mayonnaise, Bayonne ham, tiny sausages, a small baguette, Cabecou cheese, figs, little plastic tumblers and a bottle of rose, all tucked in a capacious backpack. The Dordogne is a slow river and we drifted along amid small eddies and chirping birds. It was the best picnic I ever had. The Victorians loved to picnic. They knew the joy of joining the wild and the tame while trudging through field and stream for lunch. 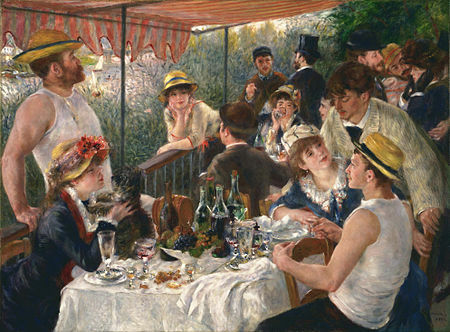 Painters such as Renoir, Manet and Monet were among many who found the delights of eating outdoors worthy of a few dabs of paint. The only difference between “picnicing” and “eating outside” which for most of history was just eating — is the pleasurable collision between human refinements and the energies in the natural world which have escaped them. When I was younger I produced picnics as close to those in the abundant cookbooks as I could in spite of raising an eyebrow from Dr. Advice, whose idea of a picnic in the park is egg salad or tuna sandwiches and not a lot else. Not that he wasn’t happy to eat my potato salad, ham sandwiches and cold fried chicken, he simply felt it wasn’t necessary to “put on a show”. The most committed picnickers can always find a new temple of nutrition, and after reading a glowing review of a local taco truck we tried it out yesterday. We chose well, taking both fish and carnitas tacos to the local park and then stopping by the corner ice cream shoppe for a butter pecan cone. The food truck craze has proliferated all over the country, with fleets of them setting up on given days and offering fare from street food to banquet worthy cuisine. We picnic often, usually with a couple of tuna or egg sandwiches washed down with a can of soda! Time changes all, except the joy of sharing the outdoors with a few chirping birds under a live oak or willow on a grassy knoll. 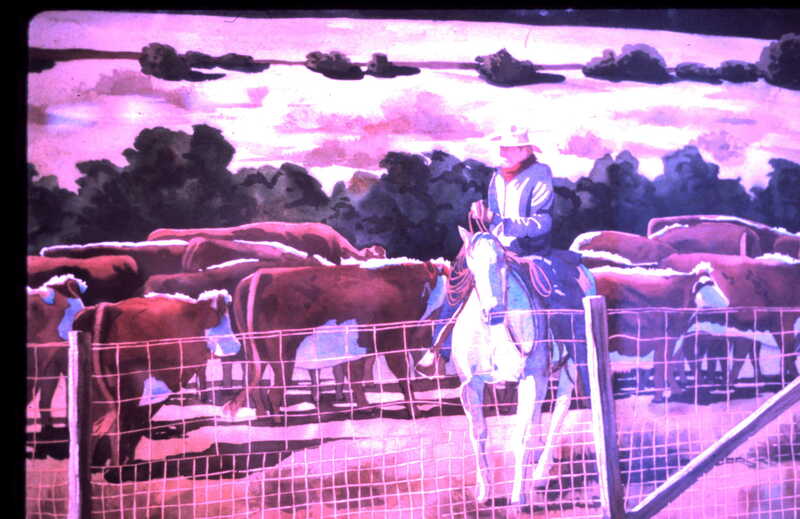 I don’t remember the painting I first showed for the public amusement, but it was likely a landscape daubed out in oils. Possibly 38 years ago a small group of us asked the owner of a neighborhood tennis shop if we could set up a display of our paintings in front of his store. The idea was to simply give a little color to the sidewalk, not to sell anything. 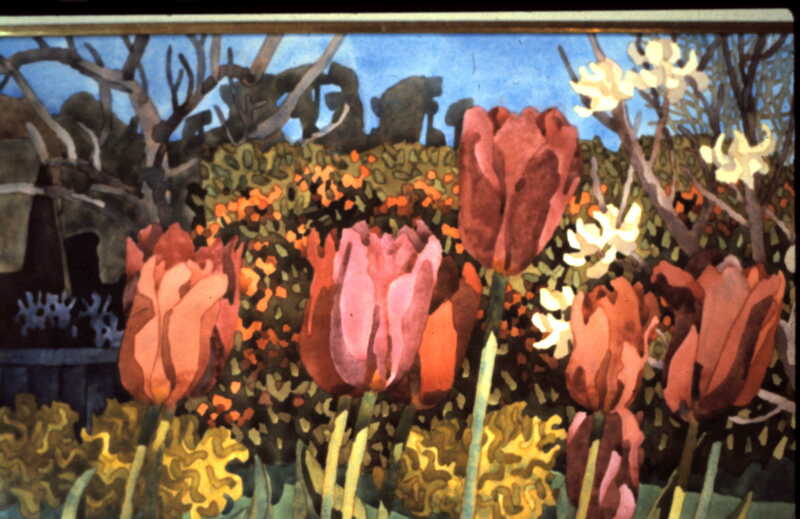 But when we went to collect our paintings that evening, mine was gone. Someone had had the temerity to buy it! Fast forward to 2015 and the Fremont Festival of the Arts is celebrating its 32nd year as one of the largest Art Fairs in the country. The expectation of a crowd of more than 350,000 people is a far cry from the 10 or 12 who had nothing better to do that day 38 years ago. Of course we didn’t offer food, wine or music to entice a crowd, and our friend the tennis pro didn’t offer free lessons either. It’s such an old saying, but where did it come from? 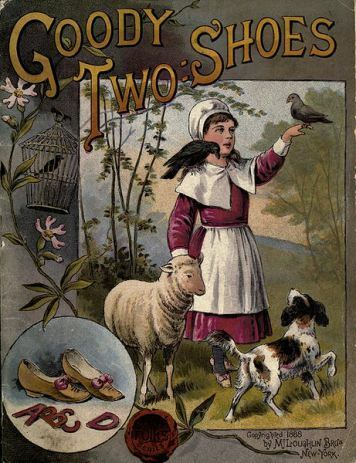 We’ve all read the story of the little orphan girl who had only one shoe, and how smug she became when she finally acquired a second. But the phrase was older than the story. I began searching, and found that the 1765 nursery rhyme seems to have been possibly–a neat kind of backformation, where a story was invented to account for the phrase. Or perhaps the story existed as an oral folk tale before it arrived in print. The story itself was so long it was called the first children’s novel and even compared to Cinderella who also had a missing shoe. The difference between the two stories is that Goody went about gloating over her good fortune which gives us the moral: don’t shout about your sudden good fortune; it makes you hard to be around. Remember that when you win the lottery or get a new pair of shoes. The phrase was in use even before the story; it’s found in Charles Cotton’s 1670 book “Voyage To Ireland In Burlesque”. But who wrote the story? First published in 1765, it is thought that Oliver Goldsmith was possibly the author. It was around before the fairy tales of the Brothers Grimm and the works of Lewis Carroll which attempted to promote excessive goodness to an unbearably sentimental degree. Many of the books I was given as a child praised the good child and sent the bad child to bed with no dinner. Naturally, I did not miss a meal. Charlie is a brave soul who shies away from stepping into the Pacific Ocean, and lives comfortably with the various wildlife sharing our garden. Though he was bred to destroy rattus norvegicus wherever they lived, he insists that our garden variety rat is a potential friend, and only gives them a bark or two. However, the sudden action of an earthquake sends him into paroxysms of angry terror as it did in the early hours of the morning today. We were all nestled comfortably in and on our bed when the house shook and crashed. Dr. A slept soundly until Charlie announced the event, and then sleepily groaned “Naw, that wasn’t an earthquake.” The morning news showed it was a 4.0 quake right beneath us, though with no visible damage. Some so-called experts say that animals show nervousness when a quake is on the way, but that has never been the case with our animals. They simply take them as they come. We in California are used to the earth shaking now and then, and even sometimes wonder if it will give us a bit of excitement when the weather remains warmer than usual. They predict that sometime in the near future, the San Francisco Bay Area will experience what they call the “Big One”. Since we have about as much control over the weather as we have over the fury of a terrified Jack Russell Terrier, we may as well go back to sleep. Five Fascinating Facts about Thomas Paine.